To round out our Italian adventure, we spent an extended weekend in Rome. 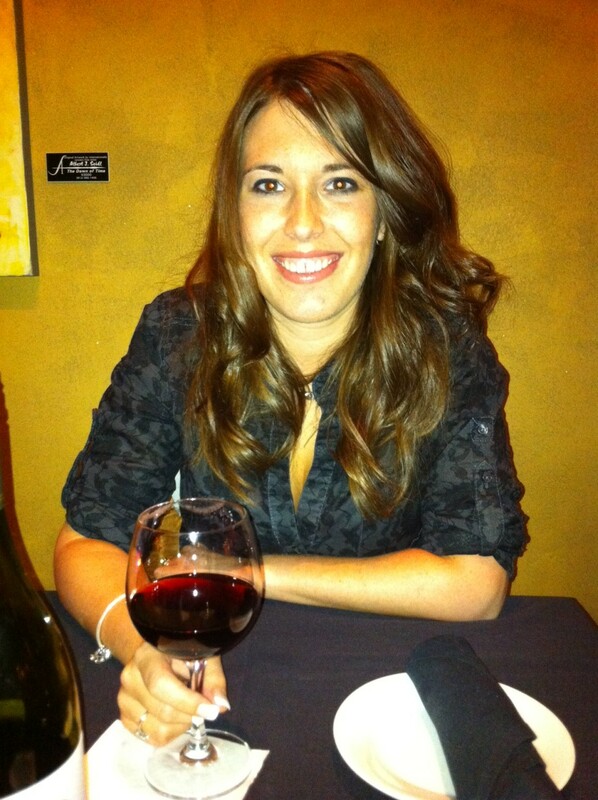 When we began planning our trip to Italy, so many people said we HAD to go to Rome. A city rich with history, ruins, culture, and just 2 hours away from Positano. 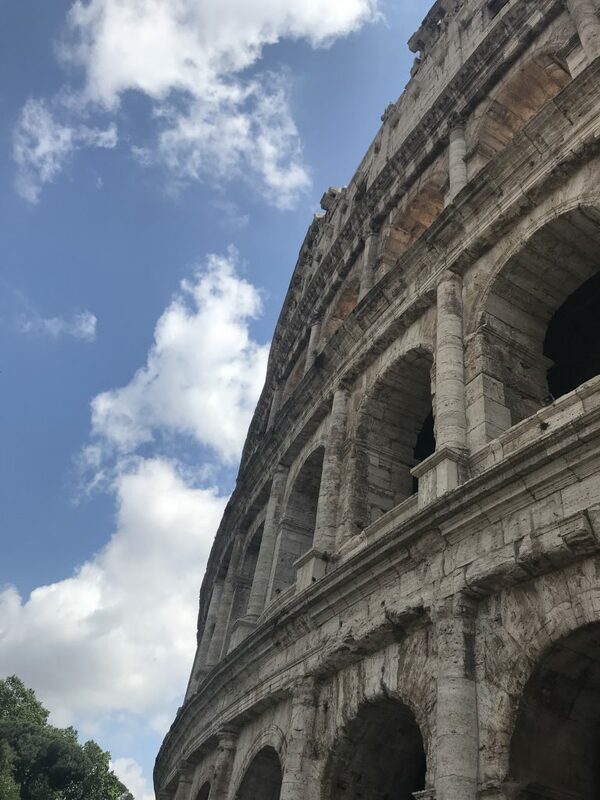 Since we can never guarantee that we will make our way back to Italy, we wanted to see as much as Italy without cheating our experience of each city. Tacking an extended weekend in Rome was exactly what we were looking for. because who doesn’t want to see this! Get on your running shoes–It’s May Day! May Day. My favorite holiday of the year. 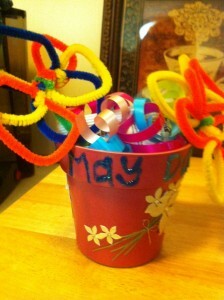 To me, it’s been a holiday of making homemade May baskets that you fill with candy, flowers, and little trinkets. 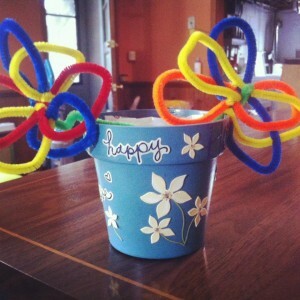 The basket is placed on the doorknob of your friend’s house. You ring the doorbell, and then run as fast as you can back to your house. If your friend catches you before you make it home, he/she gets to kiss you. If a holiday celebrates artsy-craftsy gift giving and kisses, I’m in. When ding-dong ditch is incorporated, even better. Most kids outgrow these little holidays. People stop making boxes to stuff Valentine’s in; stop leaving their shoes out for St. Nick, and stop making May baskets. [Although St. Patrick’s Day never gets left behind–it only gets more fun.] But I never stopped. With Peter Pan on my side, I will give out little Valentine’s cards, leave my shoes out for St. Nick, and make May baskets til I die (maybe even longer. Heaven seems pro-holiday). And at 26, this year is no different. 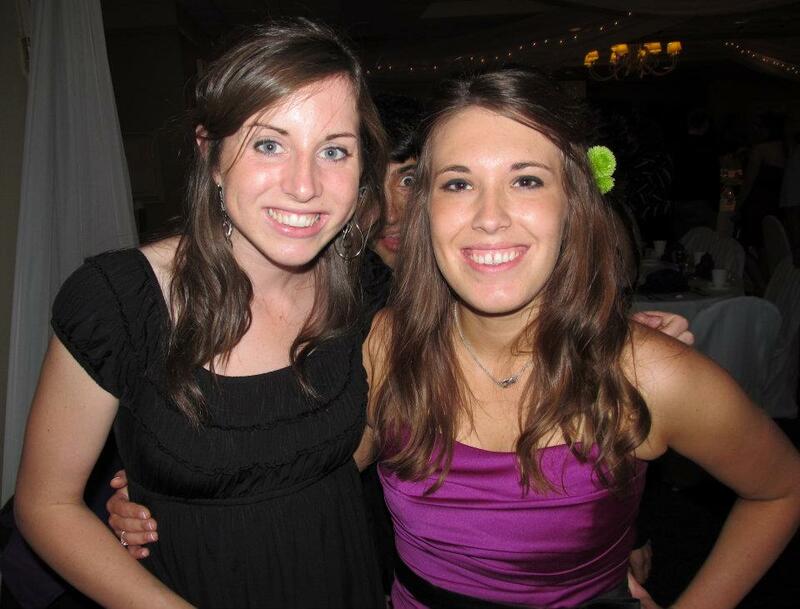 My two best friends have always been my targets on May Day. And Nicky has always taken her role in May Day seriously. She is determined to catch me. Lucky for me, our houses are only a couple backyards away from each other so I don’t have too far to run. But, running through other people’s backyards has not always gone well for me. In 5th grade, as I ran for my life from Nicky, I ran straight into a dumpster and fell flat on my back. Things did not fair too well for Nicky either. As I knocked myself unconscious, a neighbor boy threw a rock at Nicky’s head. Not sure who “won” May Day that year. Things were always less dangerous with Hollie. She lived a half mile away so I would always bike to her house. Pretty hard to catch someone on her bike. Still, Hollie isn’t one to give up easily, and she’d try to catch up. Mind you, that wasn’t too much of a challenge when we lived together in college, sharing a dorm room. It’s not easy trying to run up a dresser to hide in a lofted bed. 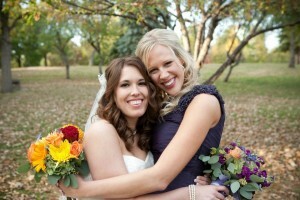 Hollie and me on my wedding. This year I’m hoping for a dumpster and loft free May Day. Since I don’t live in the same town as Nicky or Hollie anymore, I’ve had to result to mailing their May Day baskets. Much less satisfying than ding-dong ditch, but who doesn’t love mail?! 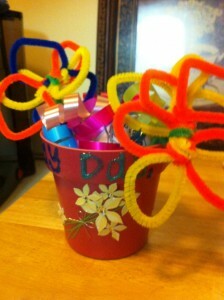 So, how do you make this May basket? First, you need a basket. You can really use anything. This year I went with plant pots (from Target), but you could use a cleaned out milk carton (my Mom’s favorite); a cute purse; a vase, mug, a red solo cup. You get the idea. Then you decorate it. Let your creativity flow. 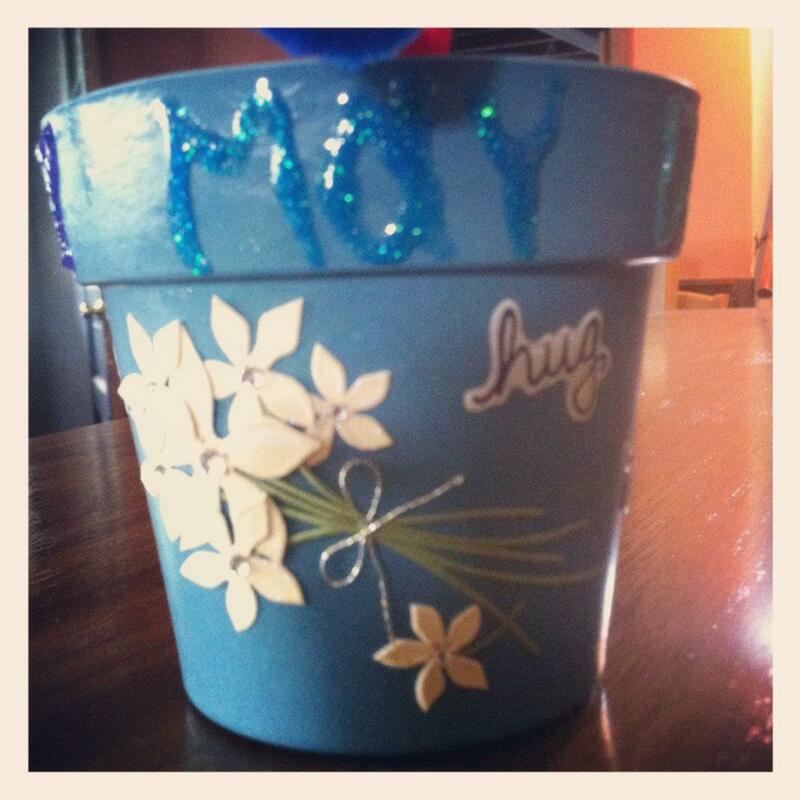 I’ve always been a fan of paint so this year I used glitter fabric pant to write “Happy May Day” around the pot and placed scrapbook flower stickers around the middle. Second, what goes in the basket? Anything! This year I stuck with the classics. I made pipe cleaner flowers and curled ribbon that I placed along side the baskets. 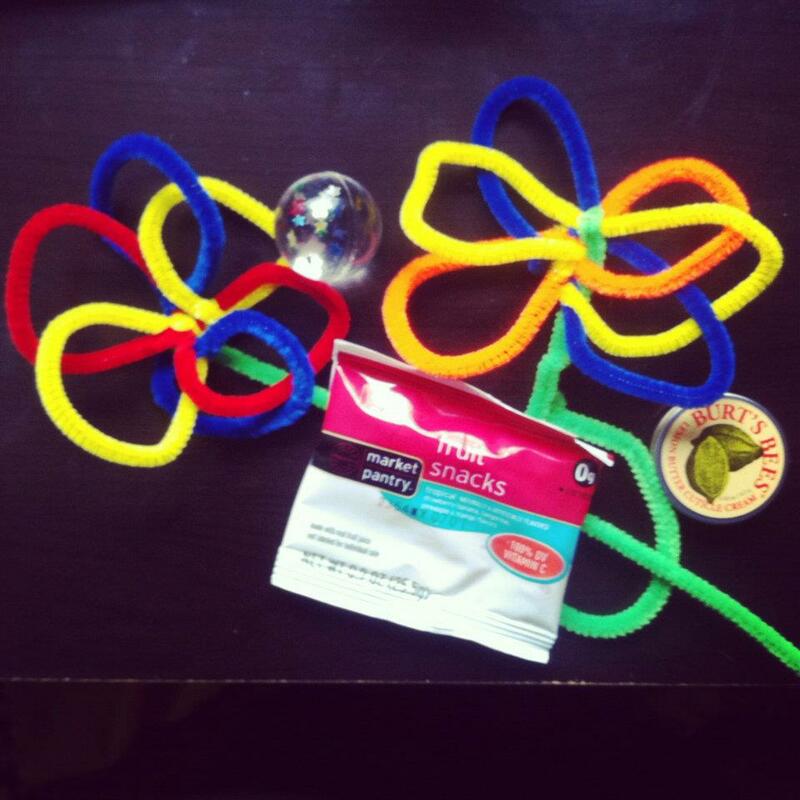 Tossing in some fruit snacks, a bouncy ball, and Burt’s Bees, the May Day baskets were complete! And you got yourself a May Day Basket. Ready to be delivered! I just have to get on my running shoes first. Hi Everyone! I am Nicole, Lindsay’s sister-in-law, and this is my first guest post for Cremona’s Kitchen. Easter has always been one of my favorite holidays. 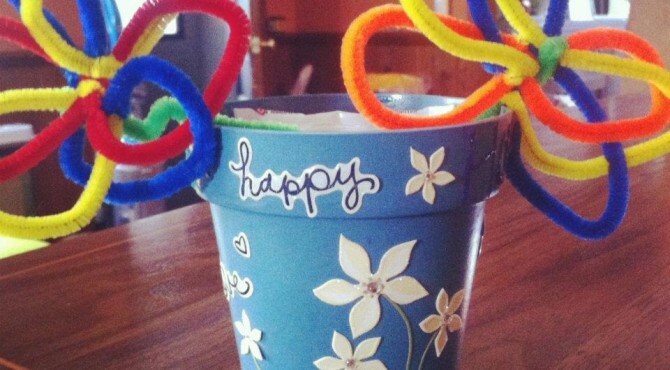 What’s better than chocolate, dying eggs and spending time with family? This Easter, however, I decided to bring something home to share with everyone. 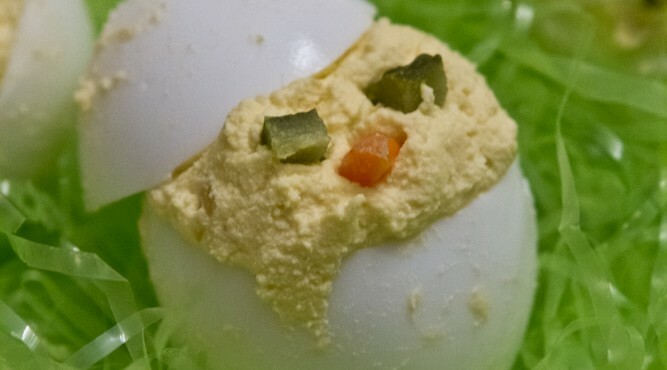 And I must say, this fun twist on traditional deviled eggs is quite adorable.